Yay, for THE DRAPERY GUY! We had just remodeled our kitchen/family room to be an open floor plan. After the renovation, we had no window treatments and didn't know where to start. We visited THE DRAPERY GUY's lovely showroom, met a welcoming Janine, who showed us all the products available. Very happy with the exceptional quality of the Hunter Douglas products. Patty came to our house with invaluable design input on window coverings and we decided to "do" the whole house. Our desire for shutters in the front of the house to help block the afternoon sun (installed by Jason-exceptional expertise) and a mixture of other SMART remote control treatments throughout the house gave our Home a look to be proud of and was the beautiful finishing touch to our remodel. As with any large installation, some minor issues arose. Steve, the owner and the others at The Drapery Guy impressed us with their prompt resolutions! Thank you, All! 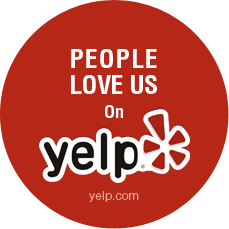 We are very happy customers! Wonderful experience! Everyone who works here from the front desk, designer, owner and installer is unbelievably kind and patient. When working with this company you can rest assure that they not only make it pleasurable each step of the way, but they will stand by their work. I love my window treatments and am very appreciative for all the attention and help that I received throughout the process of selecting my window treatments. I can wholeheartedly recommend this company. Great experience! We got roller shades for our downstairs and automated window coverings upstairs and love them all! Can't say enough of a thank you to Patty for all her design expertise and advice throughout the process. On my own, I think I would have chosen something hideous, but Patty saved me from myself and they look wonderful. There were window covering options that we didn't even know existed and Patty made the perfect suggestion to fit our budget and unique needs. We have windows in our living room and in the afternoon, the sun blazes in and makes the room so hot and bright that we can't sit in our living room. We went to The Drapery Guy and they were amazing! Fran came by and looked at the situation and suggested a solution. Because the windows were up high on the wall, we got blinds that are automated. Art and his team installed the blinds and they are gorgeous. Here are pictures of the blinds fully retracted and completely down as well as some of the in-between options. The pictures really don't show how really exceptional they look. The system can be programmed so the blinds automatically go down at a specified time everyday. So convenient. So happy with the quality and the service! I am a designer and have used The Drapery Guy on a majority of my window treatment installs. Steve is wonderful and easy to work with, as is the rest of the staff there. They have an amazing selection of fabrics and window treatment options, and their expertise and follow through is extraordinary. When our new home had no window treatments, a friend referred us to Steve at the Drapery Guy. I'm so glad she did. He was patient, helpful, and on time for all appointments (surprising that that is a thing today!) We were so satisfied by the showroom's selections and staff as well as the installers that when a couple years past and we decided to do a kitchen window treatment, we called them again. Helpful, personable, no stress, and kind. We highly recommend them. We moved into our new house in need of a number of window coverings. We started with several rooms and found we needed more once summer came. In both instances, Fran helped us pick out the perfect shades. We had different installers each time and both were excellent. We received a follow up call from the owner to make sure everything was ok. I wholeheartedly recommend this company. We couldn't be more satisfied. Had the Living Room, Master, Kitchen, and Guest Room shaded by The Drapery Guy. Fran was awesome in helping us choose these amazing shades. Art was a terrific installer. Office staff was also knowledgable in starting the process. They were helpful, friendly, professional, and current. Exceeded our expectations. Thanks guys! Look no further...this is the only place I would consider using. Their service is amazing. Fran is a design genius. And Steve aka The Drapery Guy, was there to help solve a very tricky situation. Installation was perfect and every time we needed a little extra care, they turned on a dime to make it happen. We are so incredibly happy with the first-rate job they've done. Steve (the Drapery Guy) was amazing. I've worked in the interior design trade for 22 years and have worked with many installers all over the country. This team was professional, thorough, asked all the right questions and arrived as scheduled. I would recommend this company to homeowners as well as trade professionals. These guys went the distance and installed a perfect product that our clients were thrilled with. Thanks again Steve for making a miracle happen!